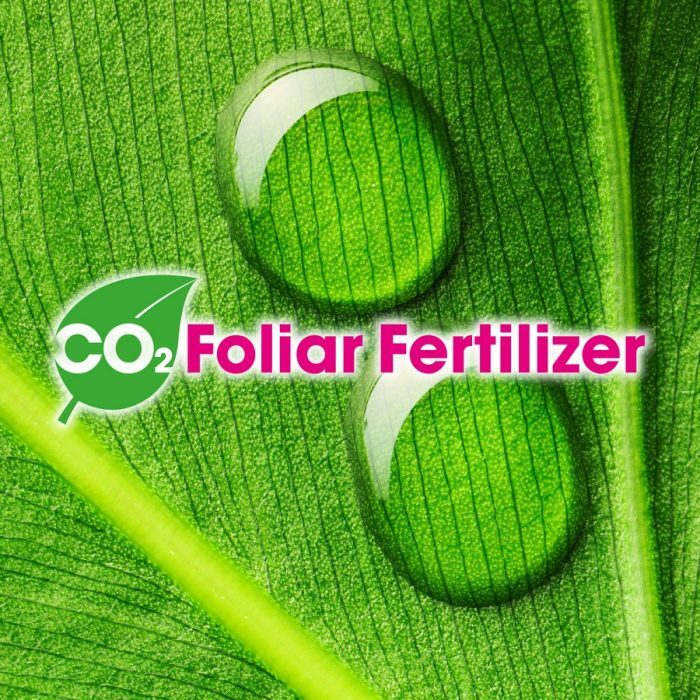 CO2 FOLIAR FERTILIZER is calcium carbonate suspension fertilizer based by micro particles (<5 μm) which are absorbed directly by stoma leaves. The carbonate particles absorbed into the leaf dissociate by releasing CO2 and CaO. CO2 FOLIAR FERTILIZER is a product to spray onleaves, in this way, CO2 FOLIAR FERTILIZER penetration by stomata has double effect: calcium intake for preventand treat physiopathies by calcium deficiencies and increase CO2 concentration into leaf for increase and optimize the photosynthesis process. Into the plant we note: growth acceleration, improvement green color of leaves; increased frosts, droughts and diseases resistance,better growth under stress conditions, best calciumavailability; reduction of water demand; improvement of production, quality andstorage fruit properties.